FanDuel’s Matt King to Lead Paddy Power Betfair US. 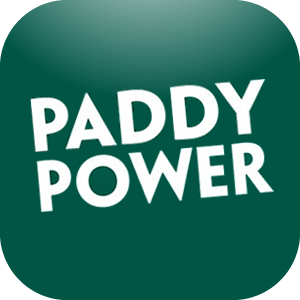 Paddy Power Betfair’s (PPB) acquisition of the US fantasy site is imminent. What’s more, is that the move can see its current CEO Kip Levin out of his job. In a surprising twist, FanDuel CEO Matt King emerged as leading candidate for the group’s top job. Well, that is if you believe the rumors! PPB and FanDuel, the second biggest US DFS site, should announce the deal is complete any days from now. During the negotiations, both companies focused on the structure of their new US operations. They also recognized each other strength to position themselves in the market better. In essence, under the new company structure PPB will provide the technology, platform, and sports betting experience. And on the other hand, FanDuel brings to the table its American Portfolio. But don’t think for a second that PPB has no sites of its own on US soil. In fact, the British bookmaker holds other investments in the States, too. They include horse betting site TGV. But also the DFS app Draft, and the Betfair New Jersey online casino site. Similarly, the group struck sports wagering deals with gaming venues in three states. West Virginia, New York, and our very own New Jersey. Initially, analysts expected PPB to buy FanDuel for its US brand value. So that the British group can enter the new market under a well-known name. But without a doubt, positioning FanDuel’s CEO has PPB US head sends out a clear message. Which is that the DFS operator core mission is to pretty much pave the way for a new brand and a new product. Which is very surprising since FanDuel lost its top market position under the current CEO Matt King. But Perhaps PPB sees a lot of value in its own product, and this may give King’s the tools he needs to emerge as the market leader. We sure hope so for him!